Today is my 40th birthday. I made my first million dollars after turning thirty-one. By thirty-seven I had sold one company and my new tech company was, in startup bro talk, “crushing it.” Sales had grown over three-hundred percent for the third straight year. I was living with my new fiancée in a waterfront condo in Williamsburg, with a beautiful view of Manhattan. This was a few years ago. I should have been loving life, but I wasn’t. None of it felt right. I didn’t feel right. I wasn’t even sure what feeling right felt like. After thirty-seven years of what many might deem as great success, I woke up one day and nothing seemed to fit. 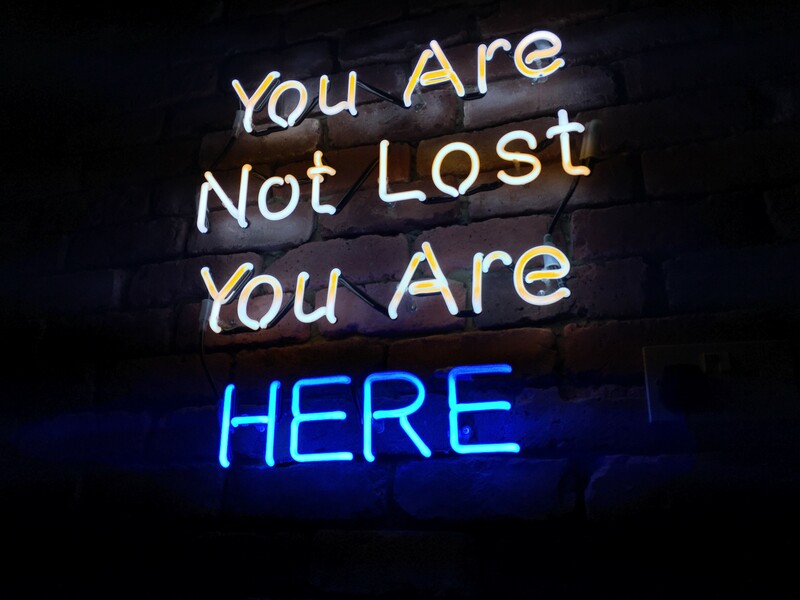 I was “lost.” I looked around and many of my millennial friends and former employees also appeared “lost.” I’ve long identified with Millennials’ idealism, hope, and wanderlust. I built the largest advertising agency marketing to their demographic. Despite being born too early, I proclaimed myself the “Oldest Millennial,”. As their slight elder, I feel I often see what’s next for them. What I see is a generation that no longer can live in the box our society has created. They are not lazy, distracted, and entitled, as often portrayed. Lost in a world that wants them to conform and settle. Lost in a world that asks them to give up their dreams for the goals of big corporations and political self-interest. Lost in a world that expects them to turn their back when their planet is being destroyed and food supply poisoned. Lost as they witness so many lives ruined by our prison and military industrial complexes. Lost as to why they cannot freely explore natural “drugs” that can help them heal and expand their consciousness safely. Yet pharmaceutical and liquor companies sell lethal, addictive products legally that limit consciousness and depress the senses. They aren’t buying the same “American Dream” that we’ve all been selling ourselves for a century. And now, neither was I. From my early days, I’ve been quite fortunate. I was raised in a loving home in a suburb of Cleveland, Ohio by amazing parents. I breezed through school and graduated from The University of Texas in 1999. I moved to Chicago and soon after found a dream job working at Sapient, one of the leading Internet companies at that time. By twenty-four, I was promoted multiple times at multiple companies and I had started my first company. With almost zero up-front cost; I managed to sell a million dollars of my own brand of pajamas in the first twelve months. Despite tons of press and initial success, the business would ultimately fail. Before giving myself any time for self-assessment, I was already off to my next venture. I had a strong desire to take off and travel the world, but a stronger fear of how that might look on my résumé. Plus, my bank account was at zero, so I did the “responsible” thing. In 2005, Facebook was emerging on college campuses. I created technology that helped the world’s largest corporations reach students via social media. The technology propelled us to become the leading social marketing agency. In 2011, we sold the agency for $50 million and joined Publicis, the second largest advertising holding company in the world. Before the sale, I spun off a new technology platform aimed at helping Fortune 500 brands connect with their advocates and influencers via social media. Within a year, the new company was doing a million dollars in sales. I raised $15 million dollars for the business led by a prominent West Coast venture capital firm. In a few years we were nearly one hundred people, doing almost $20 million a year in revenue. Things seemed almost too easy. This brings me to my firing. When our investors came to me looking for my excitement in raising another $20 million dollars to grow the business, it wasn’t there. Somewhere along the line of this amazing ride, something in me died. Or as I look back, something woke up. After several more months, sensing my enthusiasm had waned, our investors came to me and asked me to step down from the company I founded. As kids, we don’t lie awake dreaming of innovative ways to sell unhealthy, unneeded products to the masses. But, somewhere along the way, a large number of us end up doing just that. We’re programmed to get good grades, go to a good school, get a good job, get married, raise kids, move up the ladder…. To many, especially Gen-Xers and Baby Boomers, that sounds like a valid, even noble plan. I’m not saying it’s not, but it led me astray. I had achieved what much of society deems as success, but I didn’t feel remotely successful. Detouring from the path of “success” left me confused, ashamed, and disconnected. I lost touch with friends, business partners, and past coworkers. I didn’t want to have to explain what I was doing until I was back, on what they (or I) viewed as solid ground. I soon saw the disintegration of other areas of my life. My firing occurred right after getting engaged, following almost thirty-seven years as a bachelor. I had searched high and low for “the one” and found an amazing woman. But something was always missing for me. I didn’t know it then, but that something was me. For fifteen years, I had worked sixty plus hours a week, leaving little time to explore who I really was. In May 2014 I left the company I founded and had to face the difficult question of what’s next. For the first time, I didn’t really know. I took a two-week vacation with my then-fiancée, the longest of my life. We returned to New York in time to plan for two weddings — one in New York and one in her hometown of Tel Aviv. When it was time to walk down the aisle for our first, official wedding in New York, I felt numb. I deeply loved the woman I was marrying and I knew she felt the same love toward me. But I wasn’t excited, I didn’t feel passion, I wasn’t alive. In between the two weddings we took a month long honeymoon across Europe. This should have been the most magical time of my life, but I felt lonelier than I had ever felt. I’ve always been a romantic at heart and dreamt of this moment, but I felt none of it. I knew something was wrong and it wasn’t going to be a quick fix. I was lost. So, what exactly have I been up to the past three years? My parents are probably wondering the same thing. There I was, married, “successful,” living in New York with a new puppy, but I felt more lost than ever. What was wrong? To attempt to figure that out, I saw a psychologist, and then tried a couple others. None were any help. I felt completely stuck, I didn’t need assistance looking at my thoughts, I needed to connect to a whole new way of being. I was even prescribed antidepressants, but I never took them. Addressing the symptoms with a pharmaceutical solution didn’t feel like the way forward. I could feel my thirst for something deeper growing inside me. I wanted to find answers. At my core, I saw myself as spiritual. I studied at the Kabbalah Center in New York for five years, and had read dozens of spiritual books. Until then, it only registered intellectually. My overactive analytic mind controlled me. I sought logic and data for all of life’s decisions, which only served to hold on tight to doubts. It was becoming clear that the answers were not some complex puzzle my mind could figure out. My mind could think of every angle. I could talk myself in and out of anything. The problem was there was no “right” answer. There was only truth and purpose. Without fully knowing it at the time, I sought out to find mine. I had recently heard about ayahuasca. A cousin of my then-wife had a beautiful experience with this ancient plant medicine. She was living in New York and was someone I admired, as she was spiritual, conscious and a fellow entrepreneur. As soon as she described it, I wanted in. I researched ayahuasca and learned it was an ancient tea born from the Amazonian jungle. The tea is a psychotropic compound that can induce altered states of consciousness. It consists of two plants, ayahuasca and chacruna. The latter contains DMT, a naturally occurring substance capable of creating powerful psychedelic experiences, often mystical in nature. People around the globe use it for physical, emotional, and spiritual healing and expansion. The extensive Google research I compiled would find remarkable stories of its benefits. I uncovered almost zero risk outside of for those on antidepressants. How was I just now hearing about this? The more I learned, the more I wanted to experience it myself. A couple weeks after learning of ayahuasca, I showed up for my first ceremony. I arrived at an old yoga studio in the Williamsburg, Brooklyn neighborhood that I was living in. Fifteen other participants had already arrived and were sitting on yoga mats around the room. Our Shaman arrived a few minutes later. He looked far less interesting than I expected. He was a Peruvian man, about sixty years old. He came dressed in khakis with a sweater and button-down. He looked like, and turned out actually was, a medical doctor. He began by explaining the beauty and ancient heritage of this plant medicine with love and care. The tea is most often given by an experienced shaman within a ceremony. The shaman uses music and many other sacred tools to aid the medicine’s effects. There is a strict diet that I had followed for the week prior. And, as instructed, I meditated on my intention for the ceremony. My intention was to gain certainty of purpose, openness to love, and abundance of energy. Till recently, I wouldn’t have even realized those things were missing from my life. Now, they would prove to be guiding lights for where I wanted to go. One by one we were called to the Shaman’s altar. When it was my turn, I got up and took my first cup of this thick liquid tea. After sitting quietly in meditation for close to an hour, the medicine’s first effects came to me as visuals. I saw perfect beautiful geometry in a rainbow of every color imaginable. My mind and ego were holding on tight though. The same doubts, fears and limited thinking echoed in my head. I couldn’t get out of the mental box that my lifetime of programming had created. Fortunately, I knew the answers I was looking for lived outside that box. The Shaman called for a second cup and I immediately jumped to my feet. Shortly after drinking it, I became aware of the chatter in my head. This incessant chatter, always present, that I now realized was not me, it was merely my ego. As soon as I noticed this, my ego dissolved and the universe opened. I saw the energy flowing throughout the room. I could see with my eyes and feel with my heart how everyone in that room and in the world is connected. I saw clearly the harmony and order that exists in the world. I understood that life is filled with love and abundance. Our ego creates separation and invents a world governed by fear, loneliness and scarcity. The pain and suffering we experience are tools to wake us up. Once awake, we can begin to choose our path. My entire life to that point had been spent examining the past and predicting the future. For the first time, I knew I was exactly where I was supposed to be. The following day was complete bliss. Food tasted better, people were nicer, and all was good. I sat down to journal and thoughts poured out of me. Typically, I can hardly remember any details of my day. I go through the day in my head, processing but not being present. That day, I could remember every thought from the ceremony and wrote for hours. I began to understand what being truly present was like. As the days passed, doubts would begin to creep back in. My lifetime of programming wouldn’t be erased in one night. Many of the lessons remained, but the uncertainty again took hold. As a Type A personality, I felt the need to have everything figured out. I had nothing figured out. I was paralyzed with fear. I tried starting a new company because that is what I knew. I didn’t know how to live in the space of not knowing. Ultimately I would shut the company down after six months. I kept pushing myself to try to recreate society’s formula for success. I felt pressure to start a company even bigger than my last. I felt pressure to make my marriage work and to live happily ever after. I became curious as to whether friends had found happiness this way. The more people I spoke to, the more I realized how unhappy or unjoyful most of them were. I talked to many who wanted a different spouse, career or lifestyle. I saw other successful startup founders who were “lost” as well. They too dream of following their passions and changing the world. Instead, most chase investment term sheets. We’ve become slaves to a system built around chasing unicorns, the $1 billion+ businesses that investors crave. I knew I couldn’t go back to this world, but the only way out was finding a new path. My mind opened wide to anything outside of the traditional societal thinking I had until recently been trapped in. I sought others who had found peace and who were living joyfully. I followed their recommendations. I became conscious of what I put in my body. I took up yoga, tried various forms of meditation, and experimented with a variety of other spiritual and holistic treatments. The journey was quite solitary despite being married. Most people around me didn’t understand. Almost a year to the day after our wedding, it was clear my wife and I were not on the same path. We had seen marriage counselors, read books, and had countless discussions. Nothing enabled us to connect in the way we were both seeking. On the day before my thirty-eighth birthday, we decided to separate. The next day, my wife took me on a birthday weekend to the Hamptons, which included my first skydiving experience. Jumping out of a plane became a strong wakeup call to all the exhilaration our fears keep us from. Over the next few months, I did several more ayahuasca ceremonies in Brooklyn, each more powerful then the next. I did a three-day men’s yoga, meditation, and vision retreat in Bermuda called Braveheart. There, I would find a spiritual life coach, a man named Akasha who would play a guiding role in my journey. After the retreat, I decided it was time to travel. I had ideas running through my head, businesses I needed to start, things I thought couldn’t wait…. But it was life that couldn’t wait, and it was time for me to start living it. I took off for two months of backpacking through Southeast Asia. I had never really traveled alone. As I always did at that time, I researched everything. I choose Cambodia and Thailand as my destinations. I built long lists of hostels, hotels, restaurants, and sights to check out. I would soon learn that most of this information was useless. Just as in life, our plan only takes us so far. Traveling through Southeast Asia alone took some getting used to. I experienced eight dollar a night hostels, beautiful beaches, sketchy neighborhoods, secluded yoga retreats, impoverished floating villages, a silent Buddhist meditation retreat, motorbike taxis, and the craziness of Bangkok. There would be days of complete discomfort and loneliness but these were almost always followed by excitement and connection the next. From that point forward, anytime I had a bad day, I became certain the next one would be great. I was always correct. When I got rid of my expectations and beliefs of how things should be, life unfolded before me. And it did so in ways far better than I could have ever planned. My travels took me to Vagabond Temple, a beautiful yoga and meditation retreat in a Cambodian beach town. I arrived there for a ten-day program that lasted over New Years, which was aptly titled “A New Year, A New You.” The ten days culminated in us creating our own ten-year vision for our life. I had gone almost forty years without sitting down and really thinking about the life I wanted to lead. Now, I had a full vision for my life that I could follow. I couldn’t have known how quickly my new vision would start to play out. As I flew back to New York in February of 2016, I decided that New York would no longer be my home. It no longer felt like home and it didn’t fit my new vision for life. Till now, being an ultra-competitive Type A defined me. Even New York felt slow to me. I took pride in walking faster than everyone on the streets. But now, I needed to slow down and find some space where I could just be. A month later, I packed my stuff and said a tearful goodbye to my wife. My dog and I boarded a plane to Miami. My best friend, Barry, also a tech founder, had moved to Miami from San Francisco. One of my main goals in my vision was to create community in my life, and in the lives of others. Barry shares that goal. We aimed to give back and help the founders in Miami to thrive so we created Miami made. We had no idea how much we would receive from it. We’ve made amazing friendships and created a community that has made a real difference in people’s lives. One of the founders we met through Miami made is a successful restaurateur. As luck would have it, he also had done ayahuasca and was planning a trip to Tulum, Mexico with friends. This trip would become a major event along my new journey. Barry and I arrived in Tulum for a five-day trip that would include three ayahuasca ceremonies. The entire experience would prove to be magical. There were twelve of us, including the hotel owner, participating. We had the hotel to ourselves and it felt like it was custom-built just for us. Filled with lush trees and plants and impeccable details, I immediately knew it would be a special week. The next day, our group went to have lunch and a swim at a gorgeous hotel on the ocean. A Mayan numerologist approached my friends and gave them readings. They were impressed so I gave it a try. I was given an accurate reading that ended with my mission in this world. “Heal myself, so that I can heal others.” Barry immediately gave me a wink and nod, understanding how profound this was for me. Despite its simplicity and obvious applicability to everyone, it was exactly what I needed at that moment. I adopted it as my intention for that night’s ceremonies. It would become a major recurring theme of my week. I was beginning to see how nothing is an accident. The five days that would follow were nothing short of transformative. I removed many of the blinders my ego had been so wrongly programmed by society with. With these barriers clear, I awoke to so many truths about myself and the universe. While ayahuasca played a major role, many other events did as well. I participated in a Temazcal (Native American sweat lodge), took in the absolute beauty of Tulum, and shared deep conversations with an amazing group of people. I spent time with our Shaman and learned from his deep wisdom gained from thousands of ceremonies. And, I learned from Barry as both a guide and student in his experience. The lessons I learned are far too vast to state here. Those I’ve highlighted have been the most critical in shifting my consciousness to a far more peaceful and joy filled place. 1. Let go. My first shaman had told us that you could go deeper on the medicine in ceremony by sitting up vs lying down. My dominant Type-A forced me to sit, even when I felt major discomfort. I noticed a feeling of superiority for my conviction while everyone else lay down. This same competitiveness has affected so many areas of my life. It may have driven my “success,” but I see now how much it has limited me in connecting with others and myself. While still fighting to stay upright, I felt a deeper voice telling me to submit and let go. I got very cold and surrendered, lying down in the fetal position covering myself with a blanket. As soon as I did, I felt warm and fully taken care of. My ego dissolved and my experience took off. When we let go, we allow ourselves to experience life as the Universe intends us to. 2. Tune in to vibration. So much of my life had been lived in my head, preoccupied by thoughts. I was closed off to feeling and experiencing all that surrounded. It became crystal clear how I had lived so much of my life out of tune with my body, nature and the universe. I moved so fast and never took the time to tune in to all that surrounded. Only by tuning in to these vibrations can balance and harmony be achieved. There is a natural flow to life we can ride if we are open. 3. Choose happiness. The Mayan reading echoed in my head, telling me to heal myself first. I was able to see how I often create my own pain in life. Sometimes it is to fit in. Sometimes it is out of guilt for the suffering I see in others. And sometimes, it is just to continue being right about the stories my ego has made up. I saw how often I took others pain upon myself. I now knew that only happiness could help me be of service. I felt a duty to experience all the joy I could, knowing this would create joy for others. For the first time in my life, I gave myself permission to be happy and love myself first. 4. Be the Source. I was able to look back at my life. I saw all that I had done, how far I had come, how much I had already evolved. I could map all of these results directly to my intentions and desires at that time. I could see with total clarity how my life directly reflected how I allocated my energy and attention. We all have the power to create the world we want to live in and the ripple effects of that change the entire world. We underestimate our own power. I cannot find the words to describe the peace and optimism I felt when I was able to recognize that I am the author of my life. 5. Manifest now. I could feel how I was the center of the universe. We all are. We are here, at this moment, and this moment is all there is. Quantum physicists and spiritual leaders agree that time and space are illusions. Everything is manifested in this moment. Physical matter is just the details. Energy and its manifestation are existence. Past and future, far and near, all energy is all present, now and forever. 6. Play your role. At the final ceremony, I looked around and saw an amazing group of people. I could see each of them and their role in manifesting this trip and this moment to occur. Each of us has an important role in the lives of those around us, and the world. I acknowledged my own role as a heart-centered leader. I often struggle to step fully into my own power, not wanting to take too much attention or make others resentful. But now I felt it as my truth, my purpose, and my gift. I felt like a proud lion, which is both my astrological sign and my spirit animal. I was ready to roar. 7. Create value. Throughout the ceremonies, I was confronted with all the stuff I had created. Professionally, it was impressive. Soulfully, it was vapid. My gift has always been the ability to create products and brands. But the world doesn’t need more products. The world needs solutions to important problems. My mind often comes up with brilliant solutions to exploit market gaps and create competitive differentiation. It can be tempting to pursue those opportunities. But I now knew that my focus had to be on creating real value. The rest would follow. 8. Embody love. Love is a Religion. A local guide of Native American descent spoke these words during our Temazcal (sweat lodge) ceremony. So simple, but these words rang so true. We focus so much on how our beliefs differ and which ones are “correct” that we forget the whole point of all of them. We live in an abundant world that can provide for all our needs. Fear and scarcity cause separation. Love is the only goal, it’s the only thing we need. If we all had love in our hearts, no one would go hungry and everyone would have a home. 9. Give. I experienced an overwhelming blessing for all that I’ve been given. Much of the struggles I experience are my desire to share these blessings fully with the world. I’ve long felt like an artist without an art. I desperately seek a canvas by which I could share. I now realize that I cannot force it. It cannot come from my mind. It can only come from connection to my heart. I needed to be whole, get out of my own way, and allow my gifts to be used as the Universe intends. 10. Choose Oneness. No theme has become more prevalent along my new journey. It has become clear that separation is the cause of all pain and suffering. When we separate from our hearts, and our own personal truths, we experience pain. When we disconnect from others and the world, we suffer. Throughout this journey, it became abundantly clear to me that we are all connected, one soul, one heart. This message was so powerful that I named my new company 1heart. I see a future where people, businesses and our society operate with this as its central tenant. I know that this is the world I want to live in. Which do you choose? And, one bonus lesson that, I’m sure by no coincidence hit me over the head at the very end of our final ceremony. 11. Keep going. Throughout the ceremonies there were many difficult times, just as in life. During our final ceremony, I found myself face down on the floor desperately thirsty, unable to move and purging out everything in my stomach. I felt completely powerless. I made it through and the remainder of that day became the very best of my life. The same lesson speaks to my journey these past few years. Despite the hardest times, we always have whatever we need within us. Life is perfectly orchestrated to teach us all the lessons we need to learn. We never receive something that we cannot handle. As I write this article, it’s been more than six months since that Tulum trip but the lessons stay deep within me. Sure, many fade, but I know the truth with absolute certainty and it is not what we’re told. It certainly is not what the real crazy voices in our heads — our egos — tell us on a constant basis. Over the past six months I’ve done several more ceremonies here in Miami. I’ve experimented with many other practices like reiki, amanae, sound healing, breathwork, Gratitude Training, crystals, essential oils, and meditation. There is so much ancient and sacred wisdom somehow hidden from us. When we open our minds and seek to connect rather than separate, we can find healing and growth within it all. With greater consciousness, I began to look at the life I had built since moving to Miami around a year ago. Everything I had declared in my ten-year vision in Cambodia was in motion. I realized that the story I keep telling myself, that I was “lost” was not true. I saw the continual progress in my life and how I was guided here. I was so fortunate to be right here, in this moment, in this life. Most people struggle to find peace and happiness. Some appear content, but few radiate the aliveness we are all in this world to feel. I am not saying I do all the time, but I do more now than at any point in my adult life. Each day, I am more alive, more joyful, and more at peace. We don’t need more Wall Street bankers, lawyers, or even startup guys. We need more people living their truth, finding their purpose, and living with joy and love in their hearts. This should be our collective definition for success. I want to live in a world where it is. In my most recent ceremony, it was made clear that I had a story to tell, a voice that could be heard. The voice of someone that had tried and “succeeded” in life as our modern culture defines it, only to become completely “lost.” I saw how despite my analytical mind, I had failed to grasp the truth, to see the world clearly. I became compelled to share my path, not because it is the right one, but because I hope it inspires others to get LOST. It is hard to find that new path and know where to go next, because to find it, you need to be comfortable getting LOST. I hope to inspire others to stumble and even fail at life, as currently defined. I hope to help redefine being LOST as our natural state of being and the only place to find one’s true purpose. As someone who spent his life chasing one tangible goal after another, this has been a major shift. Learning to surrender to all the beauty that life presents before me remains a daily struggle. Aspiring to be present, not consumed with future goals, is the ultimate challenge. Despite how I had been programmed, I know this is The Way. This has become my purpose. I aim to help others get LOST, find their purpose and find a new path. From this intention, GUIDED by 1heart was born. 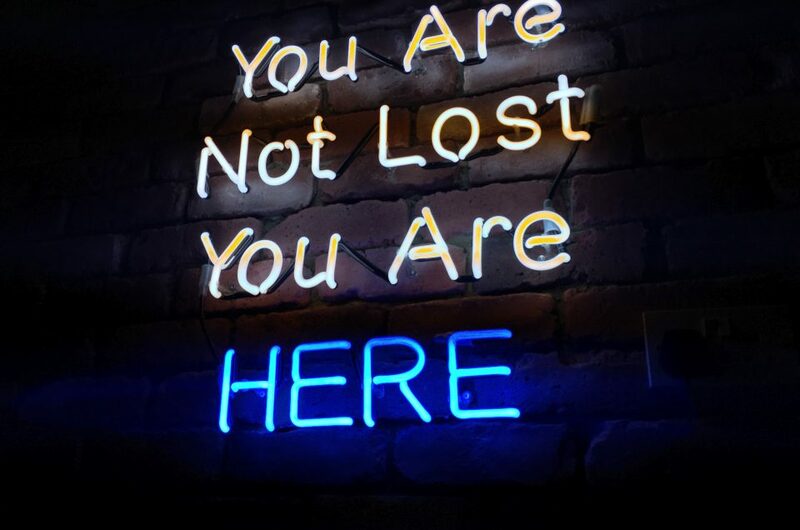 Our app aims to help many others find their purpose, and to enjoy being LOST in life along the way. Through knowledge and tools to assist people on their journey, we can create a world where we measure true success in joy, love, and abundance. It took me some time, but I have now met many others at different stages of their journey. I’ve seen and heard about so many people, across every socio- economic background, waking up. It’s clear our society is on an accelerated path to higher global consciousness. The collective consciousness is evolving rapidly, despite how politicians and the media make our world look. Our destiny is to once again recognize that we are one. We are closer than ever to returning to that. Anyway, that’s how I spent my last three years. I’m still here, in the exact place I am supposed to be. I am joyfully LOST in the vast greatness of the world, and plan to stay that way. I am at peace, connected to the source, with love in my heart. I surrender to all the beauty I am meant to discover and to the pain that will continue to teach me when I veer off my path. I now know my purpose and, for the first time, I understand success.